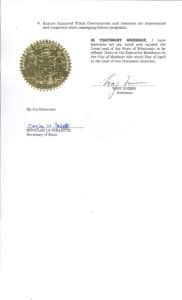 intergovernmental relationships among the state of Wisconsin and tribal nations located within the state. 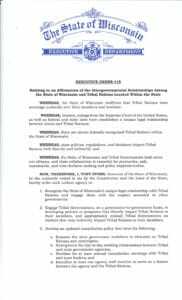 The governor’s executive order reaffirms the sovereign authority tribal nations have over their members and territory in the state of Wisconsin. View Executive Order #18 here.